The Apostle Paul makes it clear that the “seed” or descendant of Abraham through which the world would be blessed is Yeshua! “The promises were spoken to Abraham and to his seed. Scripture does not say “and to seeds,” meaning many people, but “and to your seed,” meaning one person, who is Christ” (Gal. 3:16). It was through Abraham’s lineage that the Messiah came into the world. For those who put their faith in Yeshua and His redemptive work, they receive the blessing of Abraham by faith (Gal. 3:14). Since it was through Israel that the Messiah came, our support for Israel—both politically and spiritually—is more important now than ever before. The Scripture tells us that the time is short and we don’t know the day or the hour of Yeshua’s coming (1 Cor. 7:29; Mt. 24:36). Further, we are told that as the day approaches we should keep an eye on the “fig tree,” which is national Israel (Mt. 24:32,33). It is impossible to curse Israel, a nation which God has blessed! One person who tried and failed is Balak King of Moab, who recruited the prophet Balaam to try to curse Israel (Num. 22-24). Moab was terrified of how God had blessed the Israelites and made them numerous and powerful, and so Balak offered many gifts to Balaam to curse Israel. But God put His word in Balaam’s mouth, and instead of cursing the people of Israel, he blessed them! Balak was unhappy with what he heard and offered more gifts—and even had Balaam move to a different physical position and vantage point (Num. 22:41; 23:28), as if a different “point of view” would make it easier to curse Israel. But it made no difference! Any way that you look at Israel—from the north, the south, the east and the west—they are a blessed people! Time and time again, Balak failed, and Israel remained more blessed than ever before. Just as Balak was frustrated, any nation that curses Israel in policy or attempts to contravene what God has promised His people will incur a curse upon itself. Those are serious statements but they come from God’s Word. As followers of Jesus – Yeshua – the King of the Jews, we understand that demonstrating support for Israel means more than standing with them politically but participating in outreaches to reach Israelis with the message of the Gospel! We encourage you to be a part of our outreach as we “fish for souls” until the people of Israel come to embrace Yeshua as their Savior. 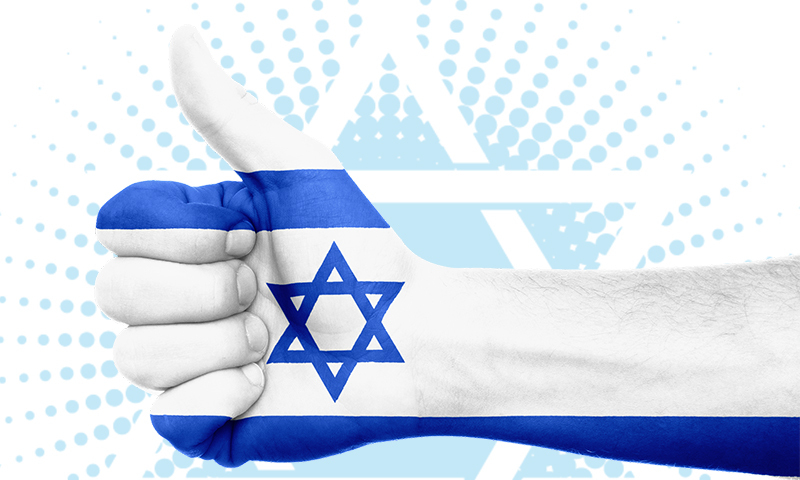 Messianic Jews and Christians should come together now as never before to show their political and spiritual support for Israel in this critical hour.